Here we are, with another interview, of authors Connie Payne and Patricia Kutza. They have co-authored "Don't Get Me Started! ", which was published in August 2016.
Who are Connie and Patricia? We are a bi-racial San Francisco Bay Area-based team (Connie is African-American and Patricia is Caucasian). We are also related - Connie is the niece of Patricia and we have known each other for 46 years. We bring to the making of our book over thirty years of experience in the education (Connie) and telecom/journalism (Patricia) sectors. A new model for etiquette –that goes beyond traditional etiquette –is needed to keep our public-behavior-wheels turning smoothly. Without it, daily life will continue to be a mine-field where people stumble culturally-- creating the impression that they are ‘culturally clueless’. In The Don't Get Me Started! 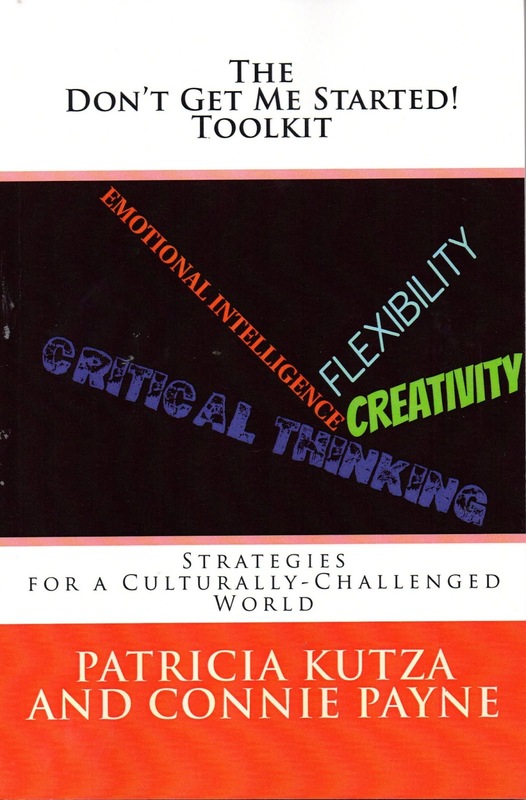 Toolkit Strategies for a Culturally-Challenged World we offer a toolkit of skills for skillfully assessing and responding to the many challenging situations you may encounter in this rapidly changing world. So whether you are playing games online, using a ‘gender-free’ restroom, sharing a picture on Facebook, conversing with friends in a café, applying in person for a new job or hosting an intergenerational event – you will be able to determine how the rules have changed and act in a manner that assures more successful outcomes. Being ‘culturally-clueless’ may not land you in jail…but it could very well make you less competitive in the job marketplace, less admired among your peers and less respected within your family. Based on the feedback we received during our initial book tour we have published workbooks for 4th-5th graders, middle-schoolers as well as adults that key off of the principles that we talk about in our original book. These books are called: "The Don't Get Me Started! Toolkit Jr. Workbook (for 4th and 5th graders)", "The Don't Get Me Started! Toolkit Workbook (for grades 6 through 12)" and "The Don't Get Me Started! Toolkit Adult Workbook." We wrote our original book over a period of 18 months. 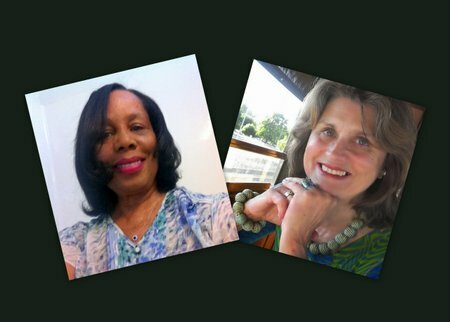 Both Connie and Patricia have been writing for years - Connie wrote in her capacity as an educator and Patricia wrote for her corporate career as well as her parallel career as a freelance business, technology and lifestyle journalist. We both enjoy the give and take of bouncing ideas off of each other. Sometimes we challenge each other's assumptions - that's when using our toolkit comes in handy in order to make these conversations fruitful and not divisive. Patricia: Many different type of magazines, newspapers. Patricia: "100 Years of Solitude" (Gabriel Garcia Marquez) - For its compelling weaving of mystery, literal exposition and magic. We both have very busy lives: Connie loves to spend time with her grandchildren and keep in touch with her friends from her teaching career. Patricia runs a monthly jazz jam and boats/fishes with her husband. We both work hard to carve out family time. It's very important for live/work balance. Connie: Tends to resolve these blocks by concentrating on other activities. Patricia: Tends to 'power' through it. 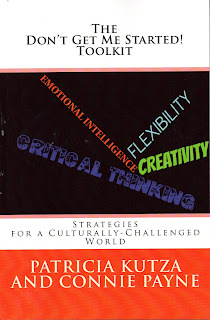 Through the many family gatherings, we have attended over the years as well as our individual experiences, we have noticed a growing disconnect between common sense-based behavior and clueless behavior ---this cuts across generations and nationalities. We think that the rapid growth of technology, evolving gender identity, and shifting generational and ethic differences is making many people feel disoriented. We passionately believe that our toolkit of skills, if practiced regularly, can help people feel more engaged and grounded due to better decision-making. 18 months with many stops/starts and detours along the way! It's also been exciting in ways that we didn't anticipate starting out. We now also market a game show based on our book and currently present it at workshops and other venues in the San Francisco Bay Area. Being ‘culturally-clueless’ may not land them in jail…but it could very well make them less competitive in the job marketplace, less admired among their peers and less respected within their family. Being clueless is not irreversible - but it takes will power and the belief that while practice may not 'make perfect' ...Practicing our toolkit of skills will produce more satisfying outcomes within a very short period of time. As John Lennon like to say "Life happens, when you are busy making other plans." Both of us had to deal with family-based challenges (illness, death) that made an impact on our publishing timeline. When one of us felt overwhelmed, the other tried to keep the momentum going. We used both primary and secondary resources. We also were able to draw on two lifetimes of personal experience. Absolutely! When we started noticing the type of 'clueless behavior' we mention earlier in this interview, we would turn to each other and say "Don't Get Me Started!" It became our mantra and eventually the opening words of our book title. Stay the course! The process is a marathon, not a sprint. Look for ways to keep you inspired and motivated during 'dry' spells. They will come, but eventually so will the rain and a new period of growth and rejuvenation. · Where can we buy your book?